Maple was found with two of her siblings wandering around in an orchard by a good samaratin. When nobody came forward to claim the lost pups, Fresno Bully Rescue stepped up and placed them all in loving foster homes. 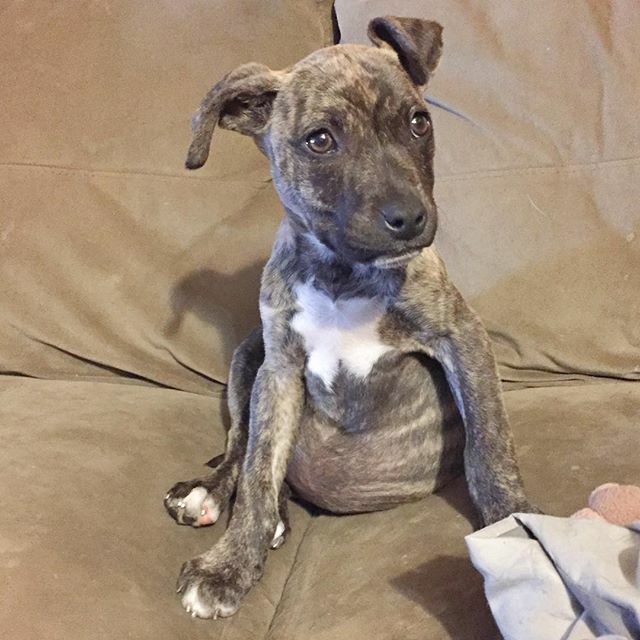 Maple came to us as the "runt" of the group, but quickly ate her way to a healthy puppy belly just like the rest of her siblings. She was only with us for a short time (as the puppies usually are) before she was adopted by an awesome family. They continue to send me updates letting me know how wonderful she has integrated into their home, and how much they truly love her.